Next week, WeLoveBigBrother.com will divulge details about the Big Brother house and our experience as part of Big Brother Media In-House Day. But until then, here is the latest information available about Big Brother 12. With just two weeks left until the premiere of Big Brother 12 on CBS, one thing is for certain — BB12 news will start to flow fast and furious from now until July 8th! But until the juicy details come out, here is what we know so far. But before we get started, don’t miss out on the huge 25% earlybird discount on the Big Brother 12 live feeds. It’s only available until July 7th! Media In-House Day. WeLoveBigBrother.com announced last week that we are participating in Big Brother’s annual Media In-House Day where a handful of journalists from around the country enter the Big Brother house for 12 hours and compete in a week’s worth of Big Brother events and challenges. We can’t talk about it until June 30th, so be sure to check back then as we release details about the house and our experience competing in the Big Brother house! Want to be the first to hear about Media Day? Follow us on Twitter (@wlbb). Houseguest Count. Every season the fans want to know how many houseguests will be entering the house. Over the past couple of seasons, it seems that the magic number is 13. While this could easily be a temporary placeholder, the CBS.com Big Brother 12 site shows 13 spots for houseguest pictures. We’ll have to wait and see if there are actually 13 houseguests this season. Big Brother 12 Commercials. Several new commercials have started to air on CBS promoting the new season of Big Brother 12. The commercials have footage of past houseguests from Big Brother 11 as well as new material from what seems to be random people at a pool party. The commercials definitely have a “beach theme,” which is exactly how Big Brother Executive Producer Allison Grodner describes this season. Watch the latest BB12 commercial here. House Design Rumors. Each season, new rumors about the house and houseguests appear on various Big Brother websites. One or two rumors about the new house design have already popped up on the Internet. But only one thing is for sure — check back on WeLoveBigBrother.com on June 30th and we’ll have a full house description and more from our experience with Big Brother Media In-House Day! Earlybird Live Feed Discount. 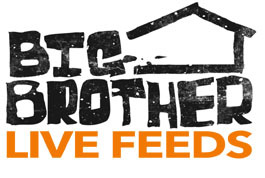 If you want to watch the 24/7 Big Brother 12 Live Feeds, now is the best time to sign up. Signing up before the season starts saves you 25% on the live feeds! You can have unlimited and uncensored access into the Big Brother 12 house for only $9.99 per month by using the earlybird coupon “BB12QTEARLY” and pay only $29.99 for the entire Big Brother 12 season! And don’t forget you get a 3-day free trial before you are charged! This offer expires July 7th, the day before the BB12 premiere! The regular season price is $39.99. Also, signing up gives you $10 of free music downloads per month, essentially giving you access to free live feeds for Big Brother 12!